I watch the weather and the clouds pretty carefully. 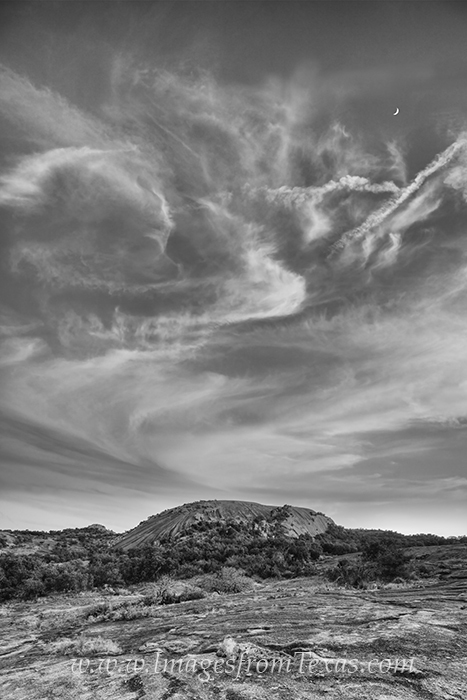 In this black and white image from Enchanted Rock State Park in the Texas Hill Country, the clouds were amazing and the conversion into a black and white was easy. Photo © copyright by Rob Greebon.